So I take my first bite of this gorgeous ice cream and the marshmallow is kind of fake... ok, pretty fake, but it grows on you. It's got that plastic-y flavor that runs through a lot of these style flavors. Whoa, so much swirl... wonderful, wonderful graham swirl. 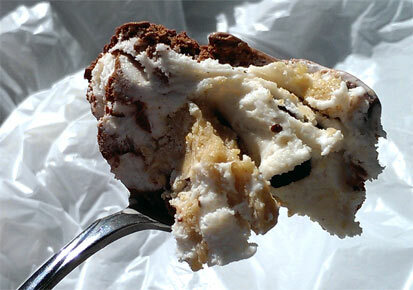 If you spoon gets under some, a whole section of ice cream comes up. The chocolate ice cream is kind of weird. I want to say there is a darkness to it if you get it all alone, but overall it's not that strong and is easily overridden by the marshmallow. There are a ton of chocolate chips. There is a nice thudding crack as you bite one because of their thickness. I love getting multiple chips on a spoon, it just feels like a treat. Back to the addicting graham swirl. I could eat this whole pint in one sitting (something I told my nosh show co-hosts that I try to avoid). 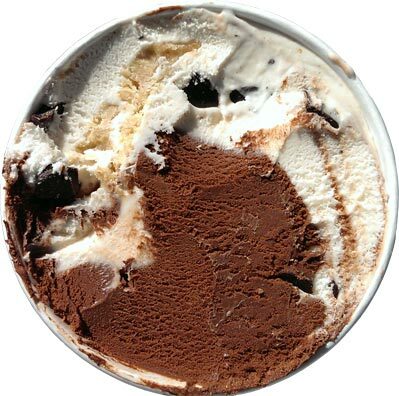 The swirl is somewhat soft, so it kind of breaks down like cookie dough as you chew it. You know, like real cookie dough fresh from the mixing bowl. It's not too sweet or salty either. It's just fun, plain and simple. 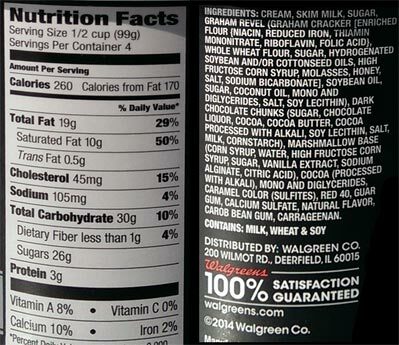 I shouldn't eat ice cream with a headache because I've now consumed all of my saturated fat for the day (half a pint). Actually I may have eaten more than half a pint. Man, when it gets soft and it's distracting you from the day, I could so easily inhale this. The chocolate side isn't perfect, but at 2 for $4, this is one very fun flavor. On Second Scoop: As predicted, the second half of the quart was quickly inhaled for snack time today. No, the chocolate isn't perfect, nor is the marshmallow, but I don't care. You're not going to be careful enough to eat them seperately anyway. 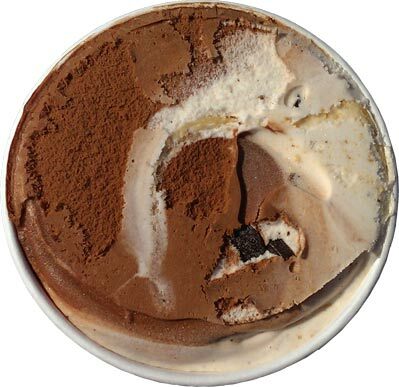 Just shove your spoon in and pull out a giant pile of ice cream, swirl, and several chunks of chocolate. This one works great on the spoon and they don't skimp on the mix-ins. It doesn't have to be perfect, it just has to make you happy. You didn't mention any graham crackers...was that the swirl? Kinda looks like it in the picture. 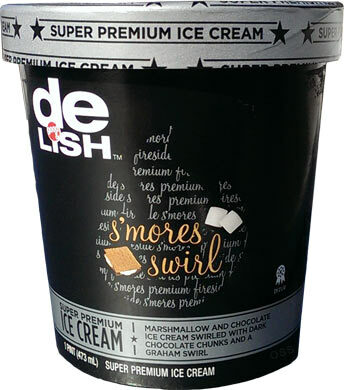 sorry, kept calling it "the swirl" instead of "the graham swirl". It was quite good an is enough to justify buying a pint to try the graham swirl. The best ice cream in the universe!